Yerevan won't be the same without street musicians. They add extra value to the welcoming spirit and make you feel part of whatever happens around you. Luckily Yerevan offers great variety of music genres and styles from opera and folk singers at the Northern Boulevard to rocking Gevork at the French square, or ELENA who became famous from the streets of Yerevan. Edited by gamavor, 05 April 2019 - 01:51 PM. Probably because Ian Gillan of Deep Purple is very much interested with Armenia with his several visits and very involved with the culture. He even did a benefit concert for earthquake. YEREVAN, APRIL 10, ARMENPRESS. 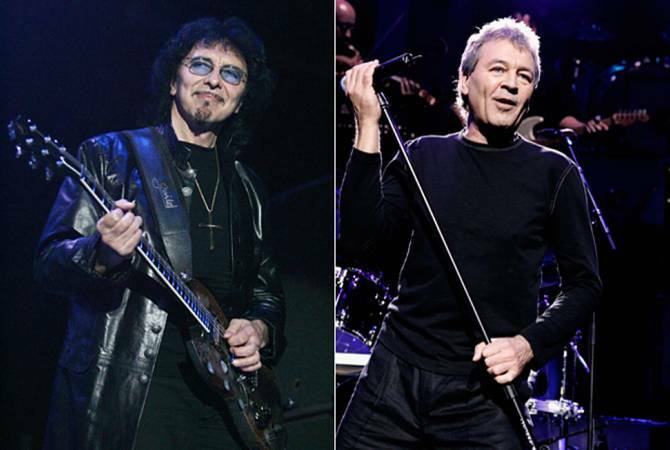 Deep Purple lead singer Ian Gillan and Black Sabbath guitarist Tony Iommi will visit Armenia in June 2019 to mark the 30th anniversary of the Rock Aid Armenia charity project, reports Armenpress. On 5 June 2019, Yerevan will host a gala night under the auspices of Armenian Prime Minister Nikol Pashinyan, which will feature Ian Gillan, Tony Iommi and Jon Dee. The event will also include a public showing of the documentary about Rock Aid Armenia's all-star 1989 remake of Smoke on the Water. This documentary includes footage of the recording sessions featuring members of bands such as Queen, Pink Floyd, Deep Purple, Black Sabbath, Rush, Yes, Iron Maiden, ELP, Free and Bryan Adams. “Rock legends joined forces 30 years ago to help our people and soon, thanks to the support from IDBank and Koor, we will celebrate the anniversary of that fantastic project,” said Ara Tadevosyan, Director of Mediamax. During this 2009 visit, the stars visited Musical School N6 in Gyumri, a city in the Armenian earthquake zone. In the 20 years following the 1988 earthquake, the children had been forced to learn music in a decrepit and damp temporary building. In March 2010, Ian Gillan gave two charity concerts with the Armenian National Philharmonic Orchestra in Yerevan, and later that year Ian Gillan and Tony Iommi formed the fundraising supergroup Who Cares. Oh boy, so many pleasant memories...It was 1977, my cousin in Yerevan had the whole discography of Deep Purple which caused mild shock to me. These were the years of the Iron curtain, and even though I was visiting from the "west" he introduced me to Deep Purple.